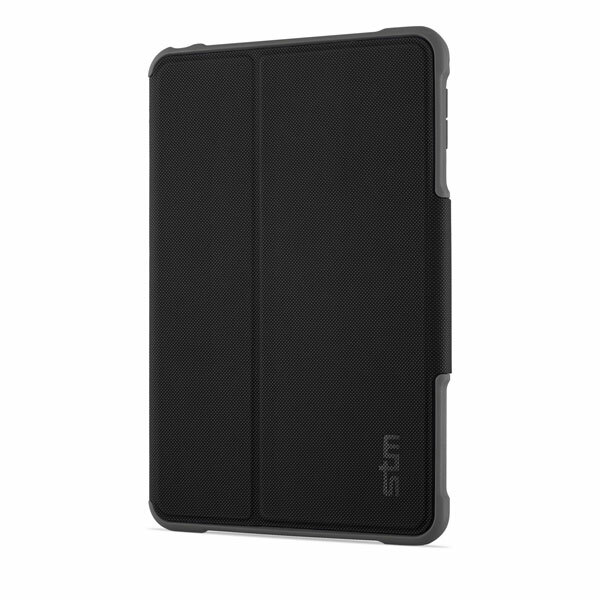 The STM Dux case safeguards your iPad with a convenient magnetic closure and strong, reinforced corners to protect from inadvertent drops. Designed with guidance from educators and IT professionals, it can withstand the rigors of a classroom or workplace. The clear polycarbonate back panel lets you slip in a picture for a custom look or provides easy asset tagging for schools and businesses.